Testimonials are one of the best ways to convince new customers of your worth. Why should they listen to what you have to say? Of course, you think you’re great. But hearing that you’re great from your customers is a different story. So you need to build great testimonials to help tell your story from another perspective. Whether you’re trying to beef up the content on your website, or you’re looking to build sales material to send out to prospective customers, well-constructed testimonials are important. 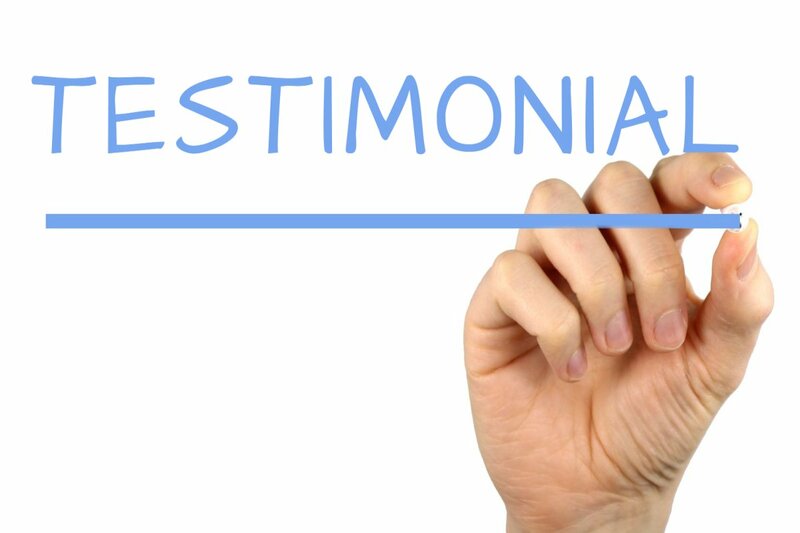 So check out these tips on how to build great testimonials. Firstly, approach your best customers personally and individually. Don’t delegate this task to a junior member of the team and definitely don’t do it in a group mailshot. You’re asking for a recommendation that reflects you in the best light possible so take the time to speak to your customer about it. Outline to them why you’re doing it so they can understand what sort of information you’re looking for and decide if they want to be part of the project. Once you’ve got them to agree to take part, then you need to work out exactly what you’re going to ask them. You should create a list of highly specific questions that make giving a testimonial as painless as possible for your customers. It isn’t as simple as just asking “what do you think about our service?”. You should tailor questions to where you have performed well with that particular client and to highlight whatever it is you’re trying to put the focus on. For example, if we were creating a testimonial with a law firm client of ours, in the hope of attracting other legal companies, we would ask questions that focused on content marketing, rather than social media marketing. As we have found content marketing to be more useful for companies working in law. All of that said, of course, there are some questions you can ask all potential testimonials. Such as; How much do you save using our service? What is the biggest benefit of working with us? What can we do better? etc. Blog it – First things first, turn the testimonial into a blog post. Put it on your blog and promote it on social media. When you post it to social be sure to tag your client’s social accounts (if they have them). This gets the content up and on your site, creating value as soon as possible. Testimonial Page – Once you’ve created the blog post you should also create a page on your site to host all your testimonials. Then link that page to your post. This will allow you to have a general place to house all your testimonials. Case Studies – Do you have any case studies from this client? A case study is a much more detailed analysis of a particular project, but adding in a quote from a testimonial can help beef up a case study if needed. Sales Brochures/ Materials – As with product pages, you can throw testimonial quotes into your sales material too. Make sure that you’ve adding it anywhere that’s relevant. Be careful to reference where the quote has come from if it’s in printed material (and not a hyperlink) so that the full testimonial can be found by the prospect if they want to see it. Emails Signatures – One interesting idea I have seen is having testimonial quotes in your email signature. If you do this I would consider changing the quote fairly often (perhaps every couple of months) to keep it fresh. But this is a good way of getting your testimonial shared and adding social proof to everything you do. If you’re building testimonials the right way and making sure they’re getting in front of your prospects you should be well on your way to getting more customers. Do you have any tips on making the best use out of your testimonials? Do you know how to build great testimonials before? Do you get feedback from your happy customers?